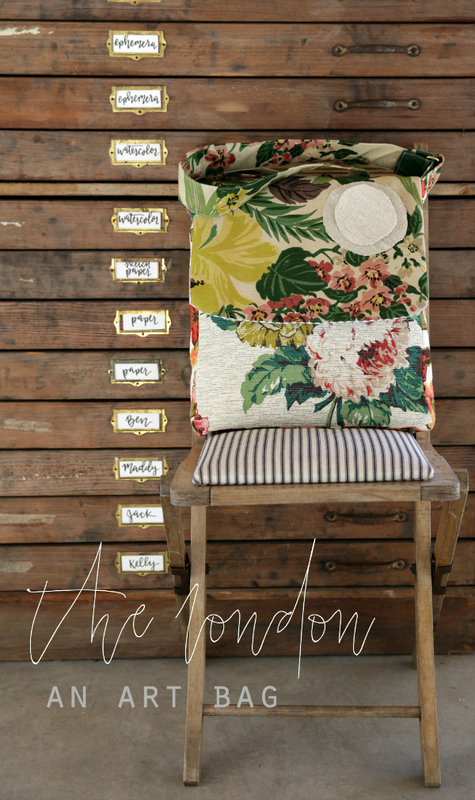 Welcome to our art bags the Caroline Art Bag and London Art Bag! They are stunning! 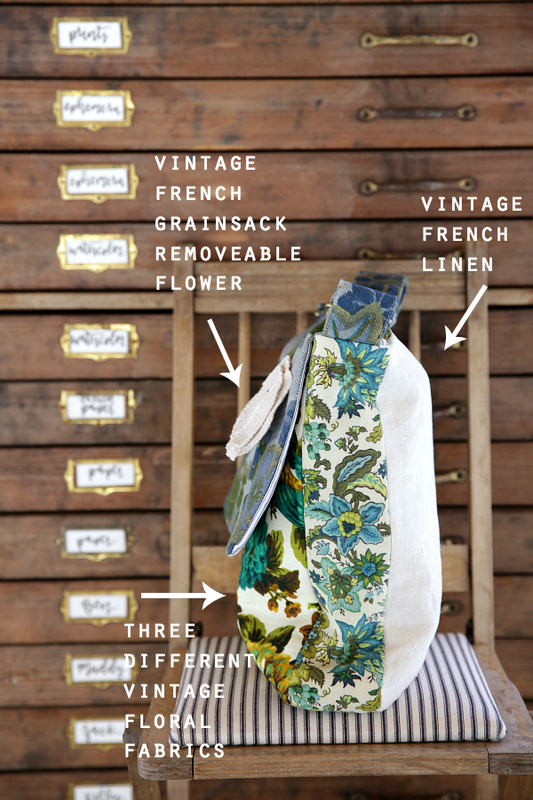 Each bag is made from four different vintage fabrics including vintage French linen! They are so dreamy! 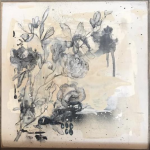 Our art bags were inspired by my The Living Studio series and retreats and the idea of not just creating in our studios but out in the world and creating around what inspires us. 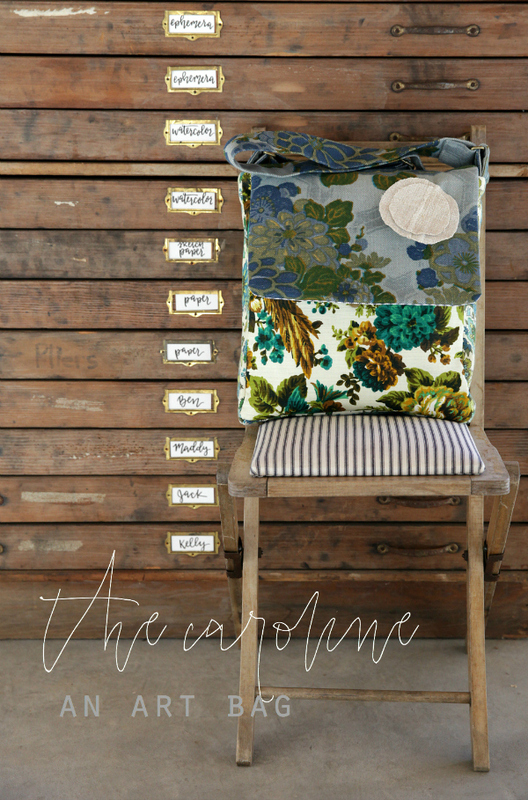 The Caroline and London art bags are made from three floral vintage upholstery fabrics , backed with vintage French linen, lined with navy and white ticking, has an adjustable strap, a large zippered pocket, cell phone pocket, an outside pocket for a ruler or larger paintbrushes, an open pocket for pencils etc., a buttoned pocket, four antique brass feet and a cloth divider. 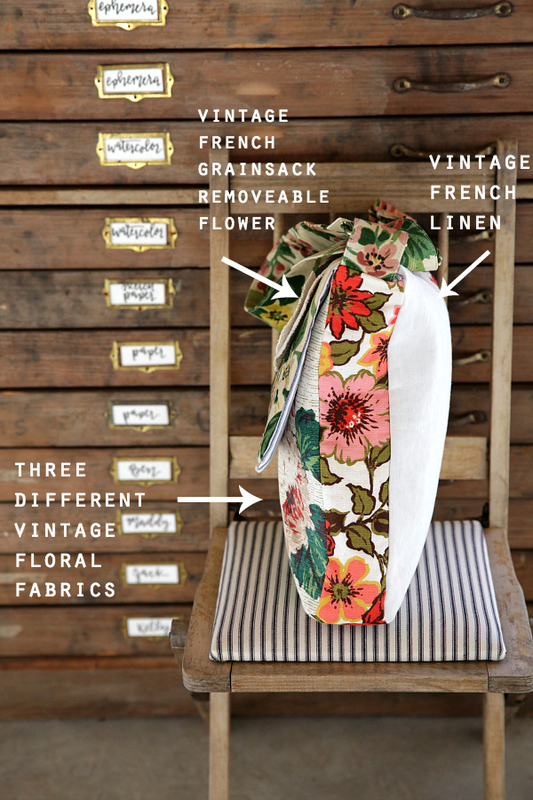 They each close with an antique brass magnetic snap and comes with a removable vintage French grain sack fabric flower. Each bags also comes with a JO roll up paintbrush holder. 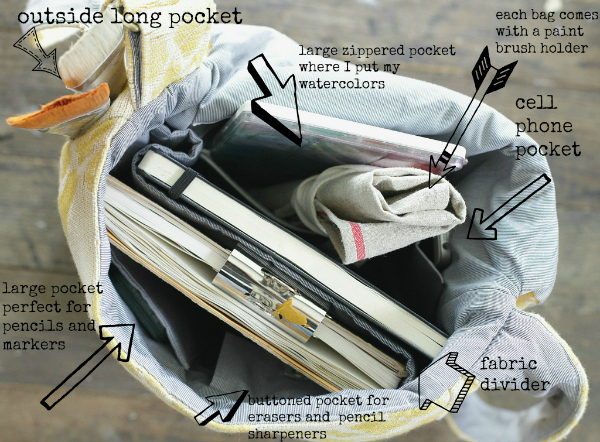 The art bags measures 13″ wide x 16″ tall x 3″ deep. The adjustable strap measures 50″ long and can be shortened up to 28″.